MARKHAM, Ont. 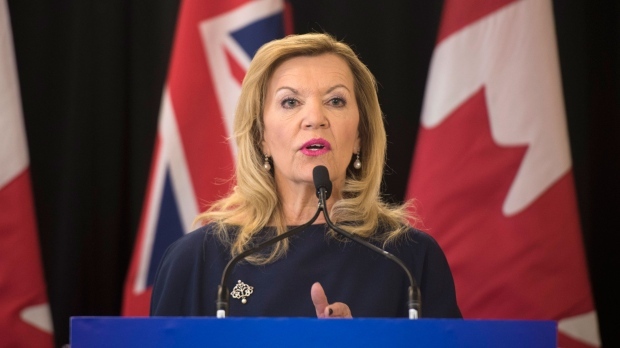 -- Ontario's health minister has announced new long-term care projects that will add 1,157 beds in facilities across the province. The Progressive Conservative government has promised to add 15,000 long-term care beds over five years. Friday's announcement brings the total of beds announced to 7,232. But Christine Elliott says it will likely take one to two years for them to become available. The 16 new long-term care projects announced Friday include 256 beds at the new Yee Hong Centre for Geriatric Care facility in Markham, 160 beds at Westmount Lodge in Orillia, and 132 beds at a Maple View Lodge expansion project in Athens, northwest of Brockville. Elliott says new long-term care beds will ease pressures on hospitals so they can be ready for an aging population with complex care needs.